Two-tone and timeless, these Eternal Love weave hoop earrings have stolen our heart! 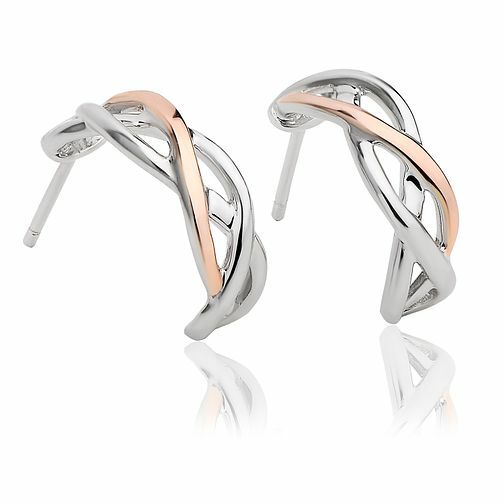 A minimalistic design made contemporary with a mix of stylish silver and 9ct rose gold weaves, creating a crescent hoop shape with cut-out detailings. Stylish yet understated glamour, versatile for both day and evening looks.